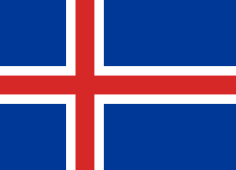 The Visa-Bikar 2006 was the forty-seventh season of the Icelandic national football cup. It started on May 11, 2006 and concluded with the Final held on September 30, 2006. The winners qualified for the first qualifying round of the UEFA Cup 2007–08. The First Round consisted of 34 teams from lower Icelandic divisions. The matches were played on 11, 12 and 13 May 2006. The Second Round matches were played on 18, 19 and 20 May 2006. Third round matches were played on 30, 31 May and 1 June 2006. The matches were played on 14, 15 and 16 June 2006. The matches were played on 2, 3 and 6 July 2006. The matches were played on 23 and 24 July 2006. The matches were played on 28 and 29 August and September 1, 2006. This article is issued from Wikipedia - version of the 11/6/2014. The text is available under the Creative Commons Attribution/Share Alike but additional terms may apply for the media files.